ALFIE and . . ADRIEN sitting in a tree, K-I-S-S-I-N-G . . !! if, orange is the new black, then ADRIEN BRODY . . must be the new JOSH HARRIS !! the notorious BASQUIAT FORGER, not to mention the mastermind behind the live, assault rifle . . SHOOTING ‘GALLERY’ featured in the Sundance winning . . WE LIVE IN PUBLIC documentary. in . . this photo of Hollywood celeb ADRIEN BRODY, that just surfaced on artsy, a few days ago. although, note . . Alfredo is not mentioned at all – – in the text !! ah, artsy / not so antsy !! after all. the photo is by Adrien’s mom, SYLVIA PLACHY. 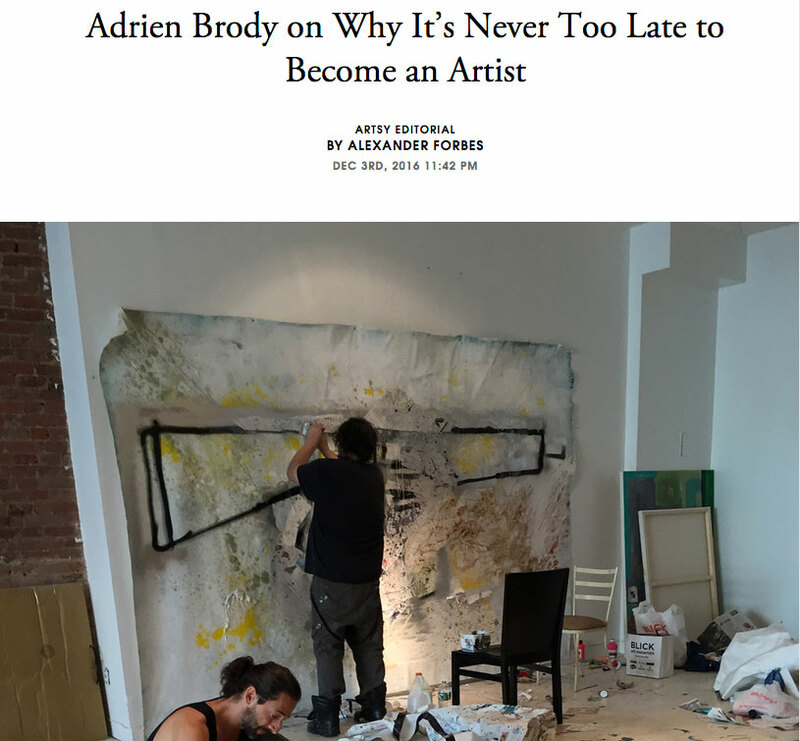 and it is recent, dated 2016.
read the whole article: Adrien Brody on Why It’s Never to Late to be an ARTIST. JOSH HARRIS, founder of Jupiter.com, fearless leader of Pseudo.com, & star of Sundance winning . . ‘WE LIVE IN PUBLIC’, with ALFREDO MARTINEZ, who he had just rescued . . from secret incarceration in CHINA !! 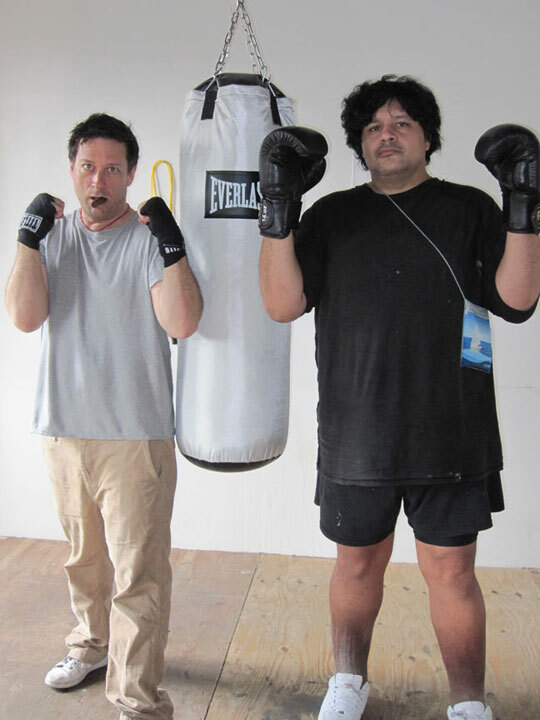 Williamsburg, Brooklyn, AUGUST 19, 2010.
yeah, they are mimicking the famous WARHOL – BASQUIAT photo. well, at least JOSH . . to his credit, always gave the artists he hung out with, their due respect & publicity credits.